From preparing to go to office to getting the household chores done… From applying Sunscreen to MakeUp! DESCRIPTION: Broad spectrum UVA/UVB protects and mattifies, All natural mineral line. I am 100% free of oxybenzone, paraben, harsh chemicals, alcohol and artificial fragrance. My all mineral, ultra effective formula creates a physical barrier between you and the sun. I am non greasy, skin friendly and enriched with carrotseed, wheatgerm, and jojoba oils. They provide natural sun safety, vitamin B5 ,C ,E and prevent visible signs of ageing. Notes of helichrysum, calendula and roman chamomile essential oils heal scars and mattify your skin. The non nano zinc oxide in me is a mineral reflector found in nature that scatters harmful rays. Green tea extracts promote elasticity and provide smart sun protection. HOW TO USE: Knead the tube with your hands and give a good shake as natural ingredients tend to separate. Apply me generously 15 minutes before sun exposure for desired protection. Use 1/2 tsp. to protect your face and 1 tbsp. to cover skin from head to toe. I am a perfect complement to your daily makeup routine too. CAUTION: Reapply every 90 minutes and every 30 minutes if you are doing anything active, that’s causing you to work up a sweat and always after swimming. Purified water, organic beeswax, zinc oxide, daucus carota sativa seed oil, vegetable glycerin, Triticum vulgare germ oil, Camellia sinensis extract, aloe barbadensis gel, simmondsia chinensis seed oil, anthemis nobilis essential oil, ascorbic acid, helichrysum flower essential oil , calendula officinalis essential oil, sodium riboflavin phosphate, panthenol. COST: INR 180 for 50ml, INR 320 for 100ml. 3. Gives a good coverage for light makeup. 4. Heals scars to a small extent. 5. Gives great sun protection and protection from tanning too. 6. Suitable for all skin types, even the Sensitive ones. 1. Doesn’t blend easily and settles into patches when applied all over the face in one go. It’s great that it Keep your skin sweat free for long time. I’ve oily skin too would love to try. This is a new product for me. I think it looks cute. It definitely protects From the sun damage but white and patchy on skin is a no go for me too. I try to use sun blocks by my skin is very oily and because of that the face starts looking darker. I will try this one and see if it makes a difference. I personally love aroma magic products.. This sunblock seems very promising to me.. Will check this out. Woah this definitely sounds like a must try sun block.. I really appreciate your honest feedback and thanks for sharing about this. Thanks for giving the honest review about this product; will surely keep the cons in mind while picking up such creams! 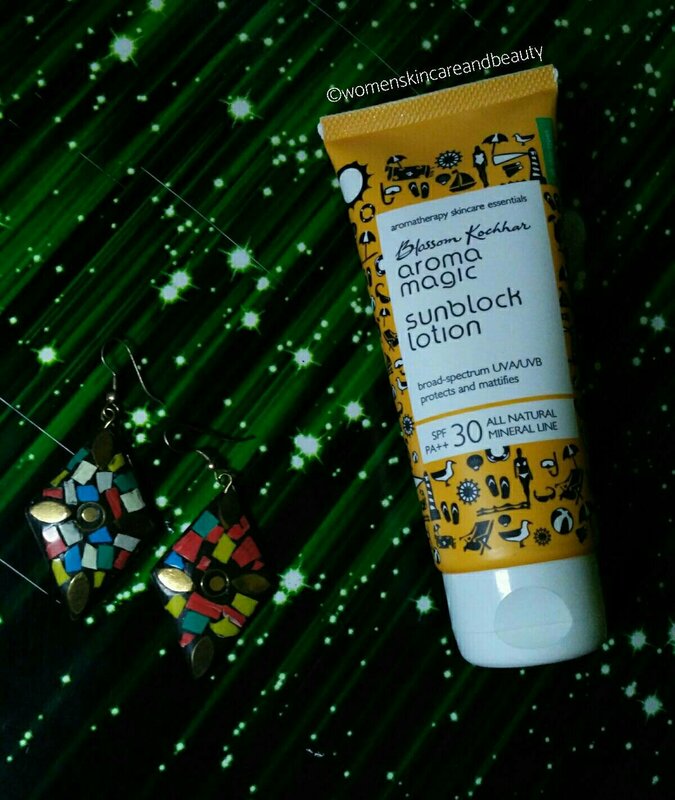 I have used a couple of products from Blossom Kochhar’s Aroma magic range and have always been satisfied with the results. After reading your review I would love to give this sunblock a try. Thanks for the reviews. The packaging is super cool and effects sound amazing too. Always look out for sun block cream which blends with my skin but as recommended should not apply it in one shot then..Summer is also nearing and i am in the search for a good sunscreen cream. Very interesting post. Aroma products are best for skincare.Great review. I agree with u. Early morning every girl and woman is in hurry. Same goes with me as well. Since summer is nearing a sun block is a must.. Will check it out. 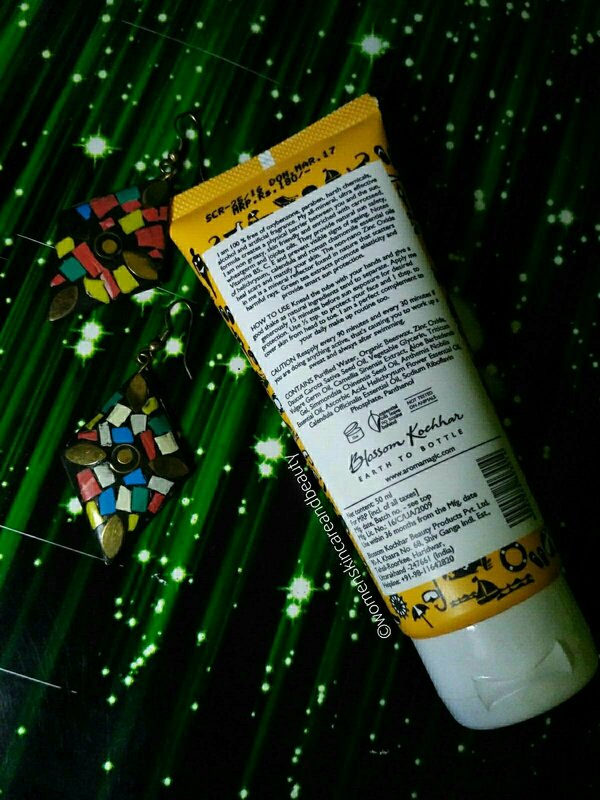 I quite liked the packaging ..
Sunblock is a part of my daily life and reading your review it seems to be so effective at an affordable price. I like how this is a multi purpose sun block – I too prefer a single product! good tip about the applicatin. 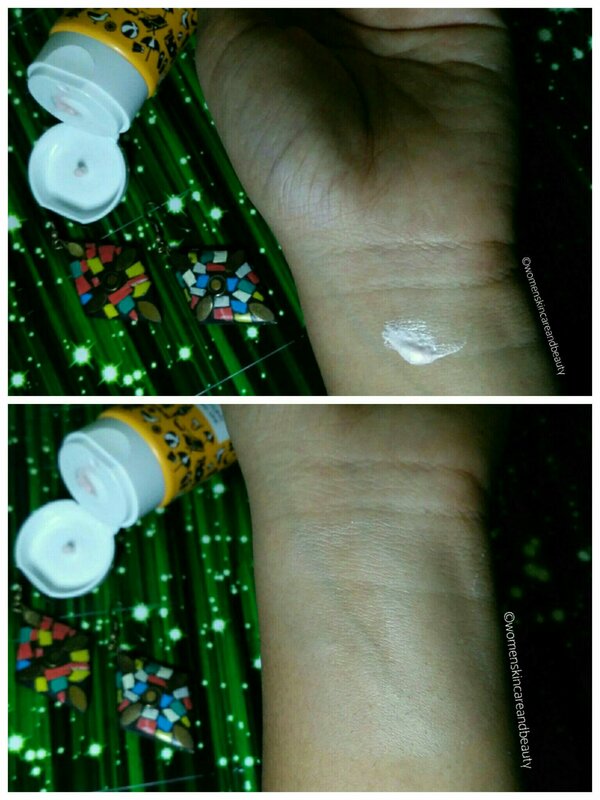 Sunblock is one of the most underrated product from vanity. We often take it as granted however it is one of the most important. This seems a good and affordable option. I have dry cheeks and I don’t think its gonna work for my skin type. Will definitely recommend this to a friend if needed. I loved the tube…it looks so cute! I can give this a try.